Amazon Great Indian Festival is upon us and there are a lot of offers which have us salivating over our the latest tech products. The best part is that you can get even better deals if you are a Prime subscriber. 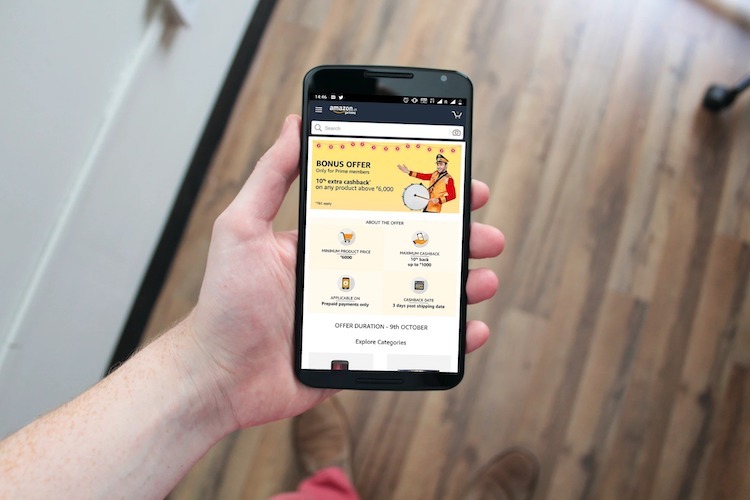 Apart from offering heavy discounts on the products itself, Amazon Prime members can enjoy a few additional perks during the Amazon Great Indian Festival. First of all, the sale will start a day sooner for the Prime Members, so you can get their hands on products starting at 12 PM tomorrow, October 9. Amazon has also announced extra discounts for Prime Members just to sweeten the pot. When the sale starts at 12 PM on October 9, Prime Members will receive additional 10% cashback for purchases made over Rs. 6000. 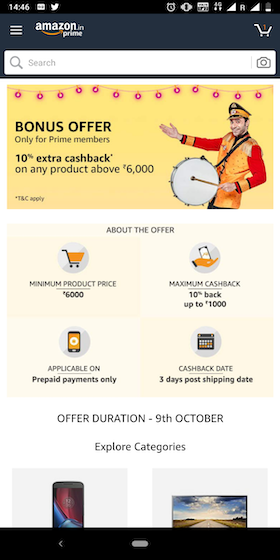 Do note that the maximum discount or cashback allowed is Rs. 1,000. Also, discounts are only valid for prepaid offers so you can’t enjoy this benefit if you order the products using the COD payment method. As of now, the offer is only valid on October 9, so you have to make the purchase tomorrow to enjoy this discount. Finally, the cashback will be credited three days after the product is shipped. If you qualify all these criteria, you can receive up to additional Rs. 1,000 as Amazon Pay cashback.